The Michael Teachings is a fascinating spiritual study that helps develop self-awareness in people and awakens a greater level of tolerance and compassion. Although the Michael teachings were originally popularized in books by Chelsea Quinn Yarbro, a growing number of individuals now channel Michael professionally. If you're looking for a Michael teachings channel, the channels I endorse on this page are those with whom I've had POSITIVE experiences, or who come highly recommended by people that I trust. While it's best to look for a channel that you resonate with, try to avoid channel shopping, where one goes from one channel to another till the most desired role and overleaves are given. It's been proven that getting multiple readings for the same individual leads to less accurate results and is counterproductive overall. A good way to choose a channel is to get referrals from like-minded people, and, especially, to experience a variety of channeling and see whose work you most resonate with. However, not resonating with a particular channel doesn't mean the individual is a poor channel --and even a piece of faulty channeling doesn't necessarily reflect the overall quality of the person's work. After ordering a session from a channel you may be asked to provide your full name, birth information, and a couple photos that clearly show your eyes. This helps Michael make a good psychic connection to you. Some channels don't use photos and Michael can often work without them, but most channels want to ensure that Michael is focusing on the right person. The use of photos doesn't mean the channel is relying on intuition to read the energy rather than Michael. The photos serve as a fail-safe and help ensure greater accuracy. Since rating the overall expertise of a channel is beyond the scope of this site, just bear in mind that each channel has their own individual strengths and weaknesses. No channel is ever 100% accurate and Michael will always encourage you to validate anything that is channeled for you. Before scheduling a session, remember that channels cannot make predictions or fix the problems in your life. The responsibility for your life is, and will always be, yours alone. Channels can only offer guidance. Finally, beware of channels or groups that declare they are more authoritative or accurate than others. I have not found that to be true. All channels are subject to human error, and in some cases apparently, the frailties of the human ego. Prices: $60 for Michael Chart; $295 for Michael channeling session (per hour). Check for other services available. David Gregg (the WEBMASTER of this site) is now offering a special discount on Michael charts: $15 for a partial chart (only includes soul age, role, essence twin and casting) and $35 for a full chart (includes everything). Getting your chart channeled has never been more affordable. Prices: $15 for a (partial) Michael chart; $35 for a (full) Michael chart. Written Michael channeling also offered at reasonable prices. Learn more by clicking on my complete MICHAEL CHANNELING services. JP Van Hulle has channeled Michael for thirty years and is the author of several Michael books, including Michael: The Basic Teachings, and Michael's Gemstone Dictionary. Nancy Gordon has been a student of the Michael Teachings since 1997, as well as a student of metaphysics for half a century. A computer channel, as opposed to a vocal channel, she is developing on an agreement made with Michael in 2004. Nancy does private channeling by email. Prices: PLEASE NOTE: Nancy is no longer accepting clients or orders. Victoria Marina is a Shamanic Teacher and professional channel. She does private readings, e-mail readings, Michael retreats, workshops, soul retrievals and shamanic healing. She conducts monthly Michael channeling groups that meet in Half Moon Bay. Jose and Lena Stevens are authors of several Michael books, including Tao to Earth, Earth to Tao, and Transforming Your Dragons. Their site offers a little Michael material, but is now more focused on shamanism and geared toward seminars for business leaders, lawyers, and entrepreneurs. Prices: $?? for Michael Chart; $250 for Michael channeling session (one hour). Shamanic services also available. Stephen Cocconi teaches Michael classes, as well as classes in No-Fault Communications. 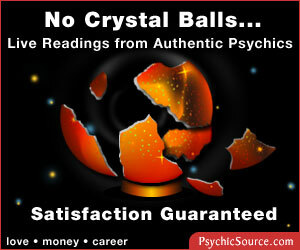 He also conducts personal channeling sessions and monthly meetings. Emily Baumbach is an astrologer and author of some of the Michael books, including Celebrities and Parallel Universes, whose organization Causalworks has a newsletter, tapes, and channeling services . An archive of important posts about the teachings, collected from several Michael discussion lists and organized by topic. A blog about the teachings. News, community events, and more. A parody of the teachings that includes a personality test, text adventure game, interactive humor, and farcical photos from a mock Michael conference. When your brain starts to hurt from all of the studying you've been doing, lighten up at Michael Land! Join us on Facebook and LIKE our page. Follow us on Twitter and show us your twits. Find videos about the Michael teachings. Barbara's site on the Michael teachings emphasizes a perspective around business and the workplace. A Michael student since 1994, Lori is a California Licensed Acupuncturist and does intuitive medical readings, along with her healing work. An old soul, Michael channel, unicorn and pattern-breaker. Find articles and other related material. Gloria, a Michael student and old soul, comes to transformational coaching after years of personal exploration into how we can evolve and transform our own consciousness. Her blog is dedicated to helping you identify the deeper truth of who you are. She assists you with transformative tools such as Human Design, Life Purpose guidance, Past Life Regression, Life Between Lives session, and Gauquelin Astrology Readings.